"The Hebron Castle Church" is strategically placed in Chennai and through this headquarters, God enabled the Church to fulfill His Ministry to preach, teach, and spread the love of God in many remote and unreached areas. Through this Church, many Branch Churches were planted in India where the Gospel did not reach the people. Pastor Edison has a great burden and passion in Church development and Church planting. The Missionaries in India are going through great sufferings, hardship, and persecution, and are paying a high price in their pursuit to establish Churches. The Hebron Ministries stand by these Missionaries and help them to establish the Word of God. 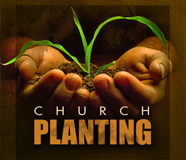 We thank God for His Blessing in our Church planting efforts. As of today, God has blessed us with 48 Branch Churches in places like Akurti-Kalahasti, Ammapalem-Nellore Zilla, BalayaPalli-Nellore Zilla, Chenur-Gudur, Kalahasthi, Metthammakure-Nellore Zilla, Musilepet-Chittur, Puthur, Chittore, Rajupalem-Nellore Zilla, Saganam Gudur, Vindhur, Gudur, Puthur. Every Sunday we conduct Worship and Prayer Service in all these Churches. Many people are released from evil addictions (smoking, alcohol, etc.) and from their sinful and wayward life. When the peace and love of God dwells among them, they are released from their sinful life and are blessed. We involve in equipping and preparing the Branch Church Pastors and their team to run these Branch Churches efficiently according to the plan of God. We provide bicycles, two-wheelers, and vehicles to these Branch Pastors among other needs. These Village Pastors are provided monthly support aid from the Hebron Church. Monthly meetings are held with these Village Pastors. Our Vision is to build more than 300 Churches in Tamil Nadu, Andhra Pradesh, and other states where there have been no established Churches till now. We are spiritually motivated to bring more than 1,00,000 souls to His Kingdom. If the Lord puts a burden on you to support our Church Planting Vision, we would greatly appreciate whatever support you render towards this noble cause. You can send in your donations addressed to "HEBRON MISSION TRUST" and mail to our Church office.